The children have been working away on their recycled river submission for this years Guildford Schools In Bloom competition. 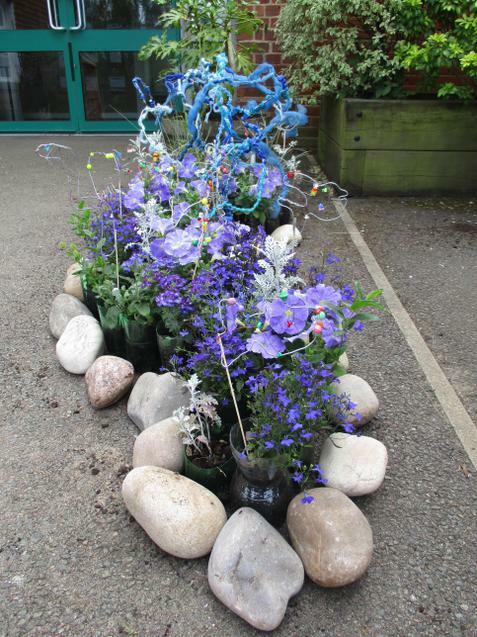 The design was created by the school eco-council and most of the materials were recycled from donations and cuttings taken from the school garden. Isn't it beautiful!